Edinburgh Napier University has been awarded the Queen’s Anniversary Prize for its internationally acclaimed work in timber engineering, sustainable construction and wood science. The prestigious award recognises the global impact of the University’s research into construction innovations and reducing the carbon footprint, and its influence on industry and the environment. The illustrious higher education prize has only been awarded 15 times before in Scotland, but this is the second triumph for the University’s School of Engineering & the Built Environment following a previous success in 2009. Judges were impressed by a string of research successes relating to timber offsite construction, nanocellulose, sustainable construction systems and architectural design, as well as the role played by staff in education programmes, public engagement and developing industry standards. Established in 2003, the University’s Centre for Timber Engineering spawned four further research centres which have supported the timber industry, construction companies and the forestry sector. The University’s research and support of new products is now worth more than £65million a year to the UK timber and construction industry. Key findings have been shared with other universities in Europe and North America, and the University’s experts have been in demand as advisers to industry bodies and organisations both in the UK and overseas. 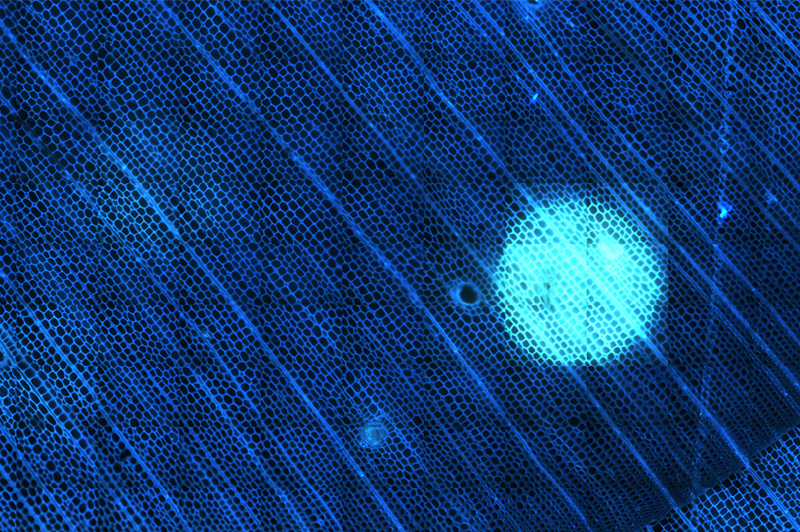 A collaboration with South African Paper and Pulp Industries led to the development of a new nanocellulose high strength material from wood fibres which can be used in applications ranging from car panels to wound care and packaging. Earlier this year, SAPPI announced the building of its first specialist manufacturing plant for the new ‘wonder material’ based on the University’s research. Staff worked with Diageo to design and patent new whisky casks, which leads to considerable savings every year by reducing whisky evaporation, known as the Angel’s Share. 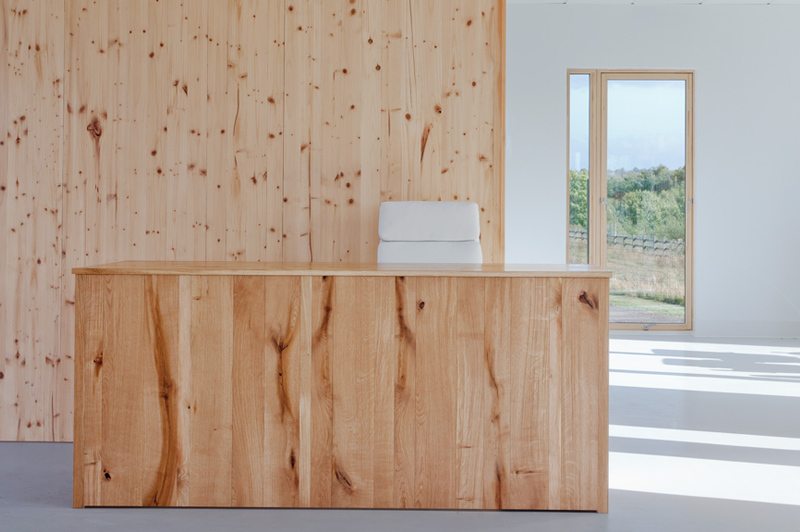 Lanarkshire-based construction firm CCG has invested £4.2million into a new manufacturing plant to make cross laminated timber. 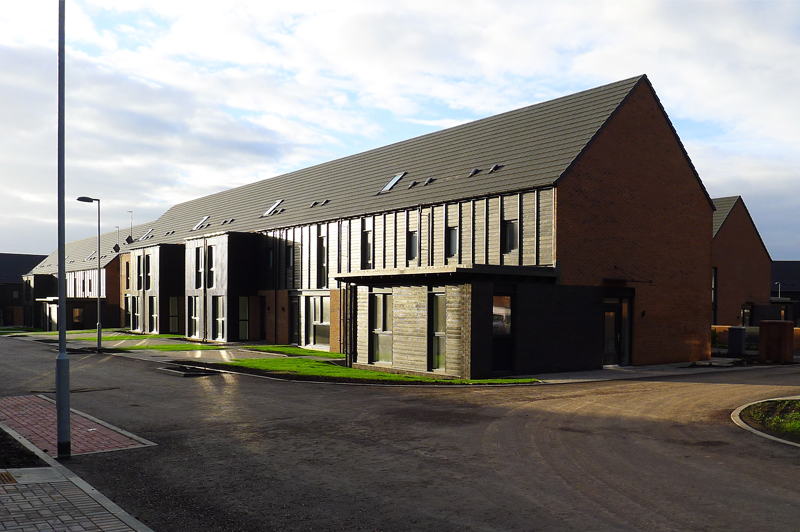 Industry consortia used the University’s research findings to help in the design and construction of the award-winning athletes’ village for the 2014 Commonwealth Games in Glasgow. Other projects saw University staff work with Oregon Ltd, Russwood Ltd, James Jones & Sons and Stewart Milne Group to develop innovative products. Students at Edinburgh Napier have benefited hugely from the wealth of activity. Undergraduate and masters programmes are continuously adapted to include timber research findings, and industry partners have responded by funding more than 25 scholarships. In response to the predicted growth of the industry sector, the University plans to launch a new Timber Architecture postgraduate course in 2016. This will address the increasing demand for specialist skills in this field and will be based within the University’s Centre of Excellence for Architectural Technology. We have a duty inherited from previous generations, who planted these forests decades ago, that we maximise the future economic, environmental and societal benefits to Scotland and the UK. The University has also been chosen to lead on Advanced Construction within the Construction Scotland Innovation Centre, which connects industry to academic expertise, and future research projects will continue to underline the scale of Edinburgh Napier’s international reach. Investors in Hong Kong are backing a three-year engineering project to support sustainable construction in eastern Asia, and talks are under way about a joint programme with American universities and US companies who specialise in offsite timber construction. Professor Andrea Nolan, Principal & Vice Chancellor of Edinburgh Napier University, said: “I am proud of the impact of the work of staff over the past 13 years which has led to this highly prestigious award for the UK higher education sector. It is recognition of the impact of our research nationally and internationally on business, industry, environment and society. Edinburgh Napier also received the Queen’s Anniversary Prize for 2009 after innovative construction techniques to improve noise insulation pioneered by its Building Performance Centre led to a four-fold drop in complaints about noise from neighbours in new-build homes. The award-winning work has already benefited more than two million home occupants. The University’s latest Prize Medal will be presented by The Queen, with The Duke of Edinburgh, in a ceremony at Buckingham Palace next February. The Scottish forestry sector is worth an estimated £1bn per annum to the economy and represents some 71% of the UK softwood resource, with positive implications for related businesses, including those in rural areas such as sawmills and timber treatment processing. Innovate UK (previously Technology Strategy Board) were influential in supporting strategic Knowledge Transfer Partnerships (KTPs) between Edinburgh Napier and industry and the application of timber engineering and timber construction research. Four KTPs were rated as outstanding, including Oregon Timber Ltd (winner of UK KTP of the Year 2006), Diageo PLC, Icopal UK Ltd (Shortlisted for UK KTP of the Year 2013) and Simpson Strong Tie UK. 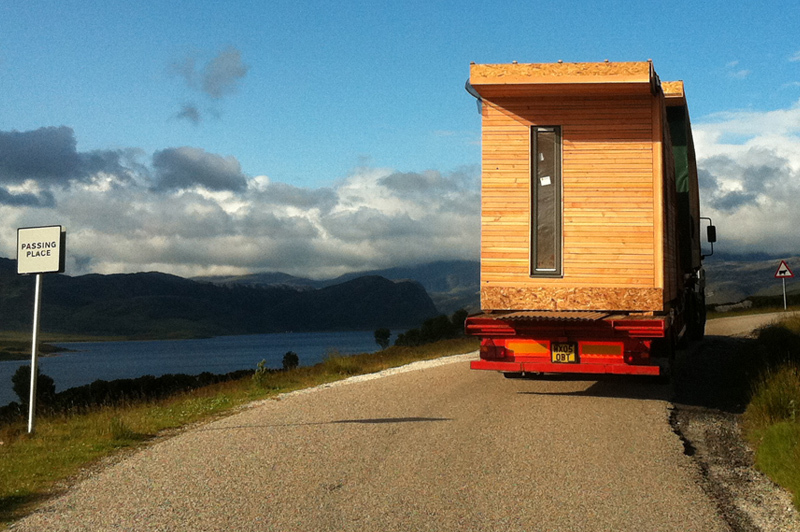 The University’s applied research (funded by Scottish Enterprise, European Regional Development Fund, Forestry Commission Scotland and Scottish Funding Council SPIRIT Award) has supported more than 100 industry construction products and systems, 16 patentable products from the University, new British Standards in construction, the shaping of European and International standards and new timber strength grading processes now used in more than 50% of all UK grown softwood. Of key importance was the research funded by Forestry Commission Scotland and Scottish Enterprise geared towards obtaining higher commercial value from home-grown sitka spruce, research on larch disease and the development of innovative systems like cross-laminated timber systems using lower grade timber for mass structural applications. Recent product and design applications include multiple low carbon buildings and more than 120 innovative timber bridges and groundwork foundations at an 80% reduced carbon footprint and cost. 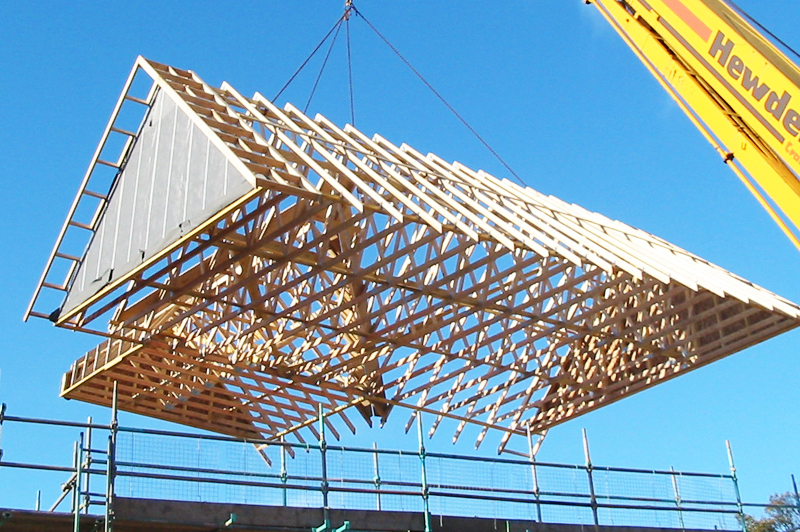 A new timber Offsite Construction Industry and Training Hub has been established with the Construction Scotland Innovation Centre to support future growth in the sector for manufacturing construction and supply chains.